The lottery will decide the final order of the 2019 draft. These are the options with which the 14 teams that are not going to play the playoffs arrive. He finished the Regular Season 2018-19 of the NBA. As always, 16 teams already think of the playoffs that start on Saturday ... and the other 14 in the holidays (the players) and in the draft (in the offices). Before an election that will be marked by the number 1 sung for Zion Williamson, a player with a generational projection, and that will be held on June 20 at the Barclays Center in Brooklyn, the lottery will arrive. A day so decisive or more, in which the defeats accumulated during the season become more or less balls within a hype that defines the final order of the first 14 picks of the draft (the rest, the playoff teams, go 15 to 30 with the Bucks, the leader of the Regular Season, choosing last) . The lottery decides the four first places of the draft and the rest, the ten remaining teams, are sorted according to the defeats (from more to less). 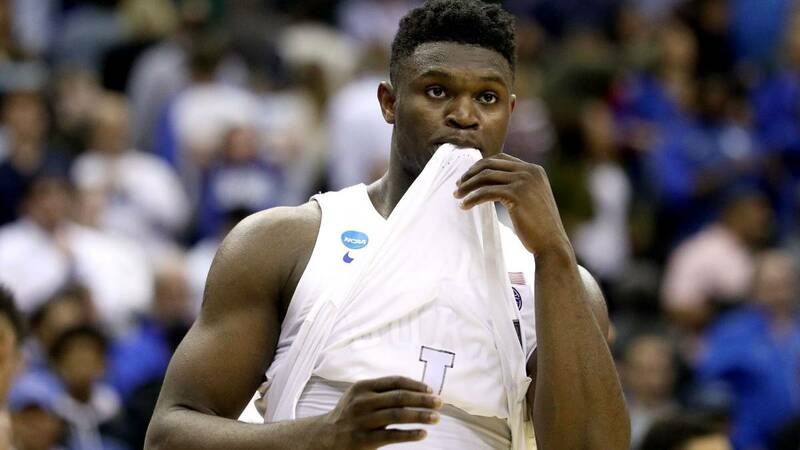 It will take place on May 15 and will leave the number 1 stamped and therefore and except for historical surprise, the fate of Zion Williamson. will also premiere format after the changes established by the NBA, which has lowered the options of the worst team of the Regular Season to choose the number 1 with the intention of stopping a tanking that was becoming more widespread ... or simply more public. * The Mavericks will only keep their pick if they are top 5, since they transferred it to Atlanta Hawk in the Doncic operation with that protection. Si falls on the six or lower, it will be of the Hawks. It would be most likely: the Mavs have a 26% chance of retaining a draft choice that will be very juicy (top 4, can not be 5) or will go to Atlanta in the range 8-11. ** The Celtics have the Grizzlies pick ... but with protection top 8. If you end up in the 1-8 range, the Grizzlies will stay, who would prefer to give it to you and some Celtics who, on the contrary, would be better to wait: the protection is top 6 in 2020 and disappears in 2021. The Grizzlies have finished ninth, but tied with seventh and eighth. The NBA will decide the order and from there, if teams from the 9-14 range enter the top 4, the pick will go to Boston safely. *** The Celtics also have the pick of the Kings, but with a very important nuance: if it is number 1, it would be of the Sixers. Although there is only a 1% chance of it being so. The Celtics have the right to the best pick between the Sixers and the Kings, both with protection if it is number 1. So the Kings will be for the greens, unless that 1% put Zion Williamson at shot of the Sixers.